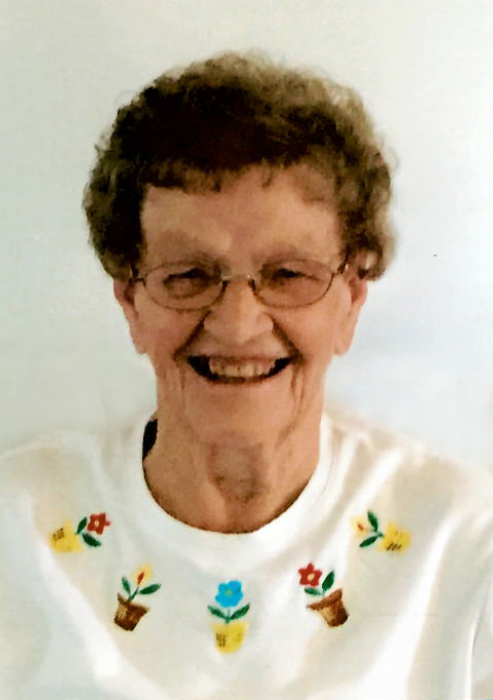 Mary (Kuntz) Schmidt, age 94 of Flasher, ND, passed away peacefully on April 8, 2019 at Sanford Health Prospera Care Center on Sunset in Mandan. Mass of Christian Burial will be held 10:30 AM CST Friday, April 12, 2019 at St. Lawrence Catholic Church in Flasher, ND with Rev. Dennis Schafer as celebrant. Burial will follow at St. Lawrence Catholic Cemetery. Visitation will be held from 5:00 PM to 8:30 PM Thursday at Weigel Funeral Home with a Rosary and Prayer Service at 7:30 PM. Mary was born January 19, 1925 in Raleigh, ND, the daughter of Kellian and Mariana (Jacob) Kuntz. She was raised and educated in Raleigh, ND. She lived in Flasher, ND with her loving husband of 42 years, Francis Schmidt. Mary loved cooking, sewing, crocheting, and gardening. She was a member of the Christian Mothers. She was employed at Meyers Café and Flasher Public School. Her favorite season was spring when the world woke up to flowers, baby animals and running creeks. Mary is survived by Kilian (Khadeem) Kuntz, Anita (Chuck) Krohn, Andy (Vicki) Kuntz, Karen (Garth) Blumhardt, Ike Kuntz, Mary Fox; 18 Grandchildren, 13 Great Grandchildren; sister, Eva (Martin) Vetter; sisters-in-law, Viola Peterson, Carol Jahrus, Noreen Marostica, and Debbie Kuntz. Mary was preceded in death by her husband Francis, her parents, brother Valentine, sister Clementine, and two in infancy; 4 brothers-in-law, and 4 sisters-in-law. To sign the guest book and share memories of Mary please go to the Tribute Wall.